Great for vegetarians and anyone who enjoys a savory breakfast treat! 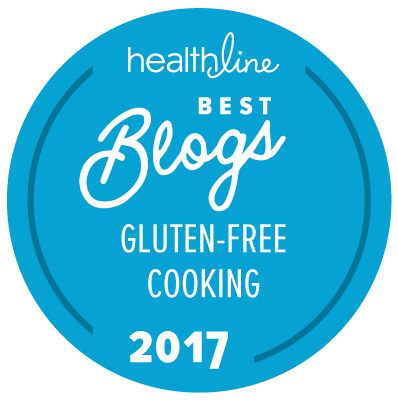 For this gluten-free quiche recipe, the spinach mix can be poured into a partially cooked gluten-free pie crust or cooked on its own in a pie plate without a pie crust to be served as a frittata, or even a vegetable side dish. I tend to bake it without a crust in an 8 x 8” Pyrex dish. Also, you can cook the mix in regular muffin pans for a portable breakfast or lunch, or in mini muffin pans for parties. I've mixed up the recipe with cooked broccoli and feta cheese. Make sure to point out the tomatoes aren’t bacon. Some people won’t believe you! Put onion in an 8 cup non-stick pan and add olive oil or 2 Tbsp. oil from the sundried tomato container. Cook onions for about 10 minutes until they are very soft and starting to turn gold but not burning. Add garlic, spinach and sundried tomatoes and cook gently, covered, for about 10 minutes. I found it was important to have plenty of onion and to cook spinach for enough time before putting in quiche, otherwise the quiche had a raw flavor. Lightly beat eggs, pour cream into spinach mix to cool slightly, add eggs and cheese mix with salt and pepper, and herbs if desired. Pour into partially baked pie crust, place on metal baking sheet and bake in preheated 350* oven for 30-45 minutes until the custard is set and the quiche is browning around the edges. There is no need to cook the quiche until it rises like a cake and is brown all over. Think of it as a custard that just needs sufficient cooking to set the eggs and remain creamy. Cooked at a higher temperature it will have consistency of overcooked scrambled eggs. Cooked until it rises like a cake produces a dry quiche. Remove from oven, allow to cool for about 10 minutes (it will deflate) and serve warm or at room temperature, not cold from fridge. Options: You can leave out sundried tomatoes. I didn’t find adding roasted red pepper added significantly to the flavor. Cooked spinach works just as much on your body as spinach salad. Bring 1¼ C. milk and maple syrup to a simmer on the stove. In a small bowl, whisk together the remaining ½ C. milk with the tapioca starch, vanilla, nutmeg and cinnamon. Add to the warmed milk and whisk to combine. Simmer 3-4 minutes until thickened. Remove from heat. When ready to make the pancakes, mix together the Enjoy Life Foods Pancake & Waffle Mix, oil and the Eggless Nog. Heat a nonstick griddle and lightly grease. Use a ¼ C. measuring cup to pour batter onto heated griddle. Cook 30 seconds to 1 minute per side until lightly golden brown. The perfect gluten-free breakfast for fall! A healthy and delicious gluten-free breakfast. Bake for 12 to 15 minutes, until golden brown on the edges and an inserted toothpick comes out clean. Let the muffins cool in the pan for 10 minutes, then transfer each one to a wire rack to cool completely. Serve, storing leftovers in an airtight container at room temperature for 2 days, moving any others to the freezer for up to 3 months. Note: The kale puree should be about the texture of store bought applesauce: smooth, thick, but not a paste. A sneak peek into Silvana Nardone's cookbook, "Silvana’s Gluten-Free and Dairy-Free Kitchen: Timeless Favorites Transformed." In a small bowl, stir together ¼ cup of the sugar and the lemon zest. Set aside. Preheat the oven to 425˚F with a rack in the middle. Spray a 12-cup muffin pan with cooking spray. In a small saucepan over medium heat, bring 1 cup of the blueberries and 1 teaspoon of the sugar to a simmer. Cook, mashing occasionally, until thickened, about 5 minutes. Let cool to room temperature, about 10 minutes. When I attended the New England Trade Food Show in Boston in March, BelGioioso was there with cheese samples and recipes, including one for ricotta pancakes. I can buy their burrata cheese in my local market, but they had samples of their new burrata with truffles. It is so good, and since my husband doesn't like burrata, I got to indulge on my own. My local market doesn't carry BelGioioso ricotta, so I used Galbani ricotta in this recipe. Galbani is a very thick, sliceable ricotta cheese that is very creamy. A wetter ricotta really should be drained first, or you can use less milk to make up for extra liquid. The BelGioioso ricotta pancake recipe added ricotta to a pancake batter, either from scratch or from a mix, but used less ricotta than my recipe. These are very plain pancakes, so I added orange zest, 2 Tbsp. mini semisweet chocolate chips, fresh blueberries and lemon zest. Mix ricotta and egg together until smooth. Stir in flour, baking powder, xanthan gum (if needed), salt and sugar. Slowly add milk and oil until smooth. Add zest, fruit and chocolate. Batter will thicken due to xanthan gum and baking powder. Do not stir and deflate batter. Heat skillet over medium heat, lightly grease skillet and scoop pancake batter with a 3 tablespoon scoop. I gently evened batter out to circle from scoop shape. It will spread, so don't over crowd skillet with raw batter. Cook on medium heat for 2-3 minutes. Pancake will appear drier on outside edge and won't really show bubbles like regular pancakes. Pancake must set enough to flip, otherwise batter splatters as you try to flip. Don't cook on higher heat, as they will burn. Flip and continue to cook for about 2 minutes until pancakes feel firmer to touch and no wet batter shows on edges. Serve hot with bacon, sausage, fruit, and one of the orange sauces in my Orange Ricotta Cake recipe. Or try serving with my berry sauce below. Add berries, bring to a gentle boil and simmer for 3-5 minutes or until berries are thawing and collapsing down. Remove from heat. Add bell peppers and onion; cook, stirring frequently, for 3 to 4 minutes or until soft. Add egg whites; cook, over medium heat, stirring frequently, for 2 to 3 minutes, or until eggs are set. Top tortilla with egg mixture, turkey, avocado and pepper (if desired). Mix coconut milk, water, sugar and pumpkin pie spice in medium microwavable bowl. Stir in oats. Microwave on high for 3 ½ to 4 minutes, or until desired consistency. Stir before serving.